Join us for our 7th Annual KIDS COUNT Conference! We’re honored to invite you to the 7th Annual KIDS COUNT Conference – Framing the Future for Families: The Road Ahead. GREAT NEWS! 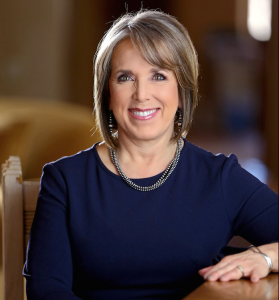 Newly elected Governor Michelle Lujan Grisham will be this year’s KEYNOTE Speaker, along with other state and community leaders who will speak to the ways in which their leadership is laying a foundation for the road ahead by investing in kids and families. NM Voices will invite several community leaders to offer Breakout Learning Sessions this year to share and elevate the expertise and passion for improving child well-being that exists throughout the state. And, as always, we’ll honor courageous advocates across New Mexico working on behalf of kids through the NM Voices Spirit of Hope Awards. The online registration platform allows you to register as an individual or a group, and will also include options to pre-pay for CEUs (NASW and ECE training credits). If the ticket price ($80) is a barrier to attendance, you can contact fcouncil@nmvoices.org about discounted pricing. REGISTER HERE now. Please note – our online platform only takes Visa or Mastercard. If you’d like to pay with American Express or Discover, please contact burban@nmvoices.org directly. Please consider supporting the 7th Annual KIDS COUNT Conference by selecting one of several sponsorship options and levels, by purchasing an advertisement in the program (deadline for AD submissions is May 7th), or by reserving an information table for the day of the event (a very limited number of tables are still available – get yours fast). Our community is full of rich resources and tabling is an opportunity to share more about your efforts and impact with more than 400 stakeholders. See the full range of SPONSORSHIP options here. NM Voices for Children will welcome up to 10 breakout learning sessions at the 7thAnnual New Mexico KIDS COUNT Conference. The learning sessions will include experts and community leaders presenting on thematic areas that are vital to improving child well-being, including but not limited to: equity; advocacy for change; education; culture of health; and family economic security. The application process for submitting proposals is CLOSED. Thanks to this year’s dedicated sponsors for their contributions so far!